Weeks into the partial government shutdown, tens of thousands of government workers are relying on special programs from banks and credit unions to stay financially solvent. 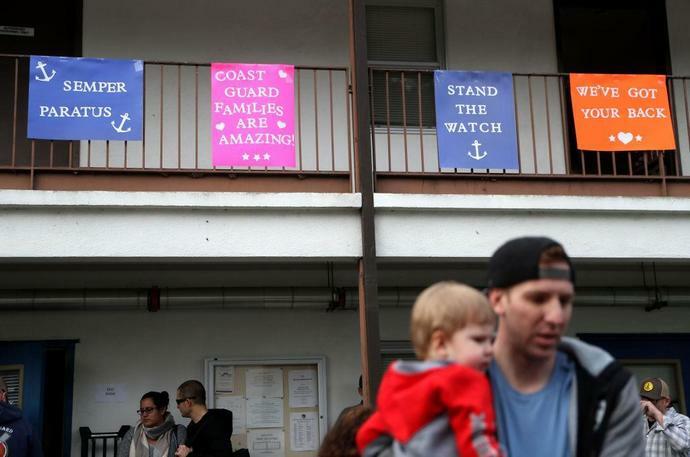 About 16,000 federal workers - including many workers for the Coast Guard and Department of Homeland Security - have filed for 0% interest loans through the Navy Federal Credit Union, says Senior Vice President Tynika Wilson. The loans cover about 50% of federal workers' lost paychecks, and are available for up to $6,000. Various banks, including Bank of America, Wells Fargo and Citi, are also offering special programs for federal workers. Bank of America is offering federal workers special options that are typically reserved for victims of natural disasters, says spokesperson Andrew Aldridge. These programs include mortgage forgiveness for up to 3 months, auto loan forgiveness for up to 2 months and a suspension of late fees, credit reporting and overdraft penalties. Last week, Bank of America also launched a special program for the shutdown - waiving cash advance fees for credit cards. "We wanted to make sure that our customers can get access to the cash that they need," Aldridge says, adding that workers must call a special line - 844-219-0690 - to discuss their options. "We appreciate everything you do and we'll continue to do what we can to help you stay connected," Verizon's customer service chief Nancy Clark wrote in a statement. Although there are many legitimate ways to find help, experts warn that workers looking for assistance should beware of scams. On Tuesday, Virginia Attorney General Mark R. Herring released a list of tips about predatory lending, warning that workers should watch out for people who would "capitalize on federal workers' vulnerabilities and lack of income during this time and try and take advantage of them." Herring warns that workers should beware of payday loans that charge more than 20% of the loan proceeds as a loan fee, loans that last less than twice a borrower's pay cycle or loans that are for more than $500. Wilson of the Navy Federal Credit Union advises workers to "do your research and read the fine print" and to reach out directly to financial institutions with which they already have a relationship. Wilson says that the Navy Federal Credit Union itself is working to plan for a longer shutdown. The credit union originally planned for the paycheck loan program to cover only one pay period, but extended the program last week after it became clear that the shutdown did not show signs that it was coming to an end. She added that the credit union will likely extend the program again if the shutdown continues. She added that while the loans are supposed to be repaid after 60 days, the credit union would likely consider revising its policy. "We're really there to help them in their time of need," Wilson says of the workers. "We are committed to assisting our customers through the shutdown." The second-biggest U.S. bank benefited from 3 percent growth in consumer loans and 4 percent growth in loans to businesses in the first quarter, allowing it to capture more revenue from higher U.S. interest rates. BofA relies heavily on higher interest rates to maximize profits as it has a large deposit pool and rate-sensitive mortgage securities. Net interest income - the difference between what a lender earns on loans and pays on deposits - rose 5 percent to $12.38 billion.